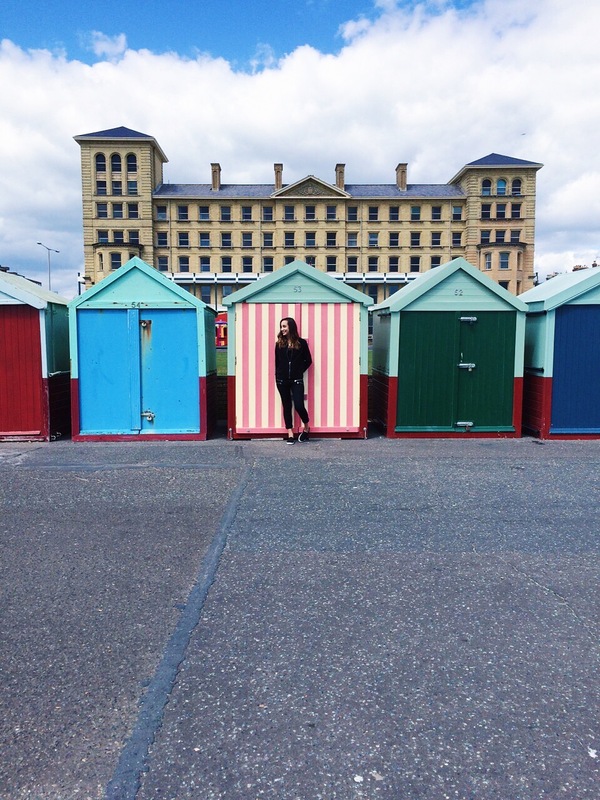 Back in June 2015, I took a flight to spend my 19th birthday with a friend in Brighton. 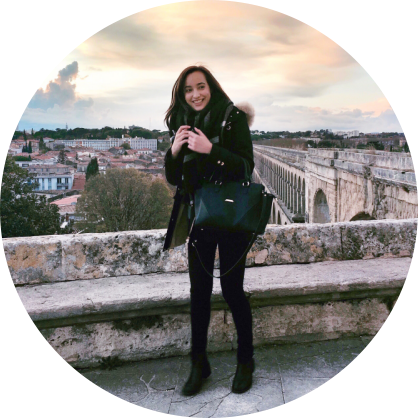 I had already been to London three times at the time and even though it's one of my favourite cities in the world, I desperately wanted to visit another place in England. I wanted to see more of what this beautiful country had to offer. And oh Brighton didn't disappoint me at all. It is such a charming city, and I'd highly suggest visiting it if you want to escape the British capital. I would say between June and September is the best time to visit Brighton because of the great weather. But keep in mind that it might be crowded in July and August. I only stayed 4 days there but I think it's the perfect amount of time to do everything you wish to do, as it is way smaller than London. If you are traveling to London by plane, try arriving at the Gatwick airport as it is closer to Brighton than any other airports. From there, you can take a train that takes you directly to Brighton in about 40 minutes. You can book your train tickets through SouthernRailway. A one-way ticket costs less than £11! If you're already in London, the fastest way to get to Brighton is to take a train from the Victoria Station. Buy your tickets via TheTrainLine, but be aware that prices may vary depending on the time you are booking your tickets... I found some for £8 and others for £40!  I'd suggest booking a few weeks, even a month in advance if you want to save some money! I'd recommend staying at the Travelodge Brighton Seafront Hotel. It's not a luxury accommodation, but if you are on a budget then it's the perfect hotel! That's where I was staying and the location was ideal. It's only a 10 minutes walk from the train station and a few minutes walk from the beach! If you're more of a hostel person, I've heard great things about YHA Brighton. 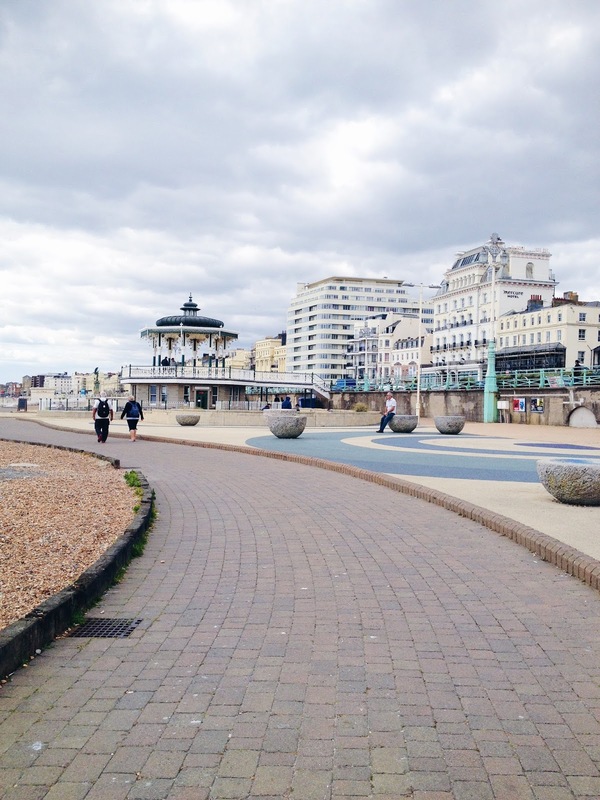 If you prefer luxury hotels, you might want to check out the Grand Brighton Hotel. I remember the first time I walked passed it, I was like wow. You can't miss it, it's such a beautiful building! If you've stayed there before, let me know in the comments what you thought of it! 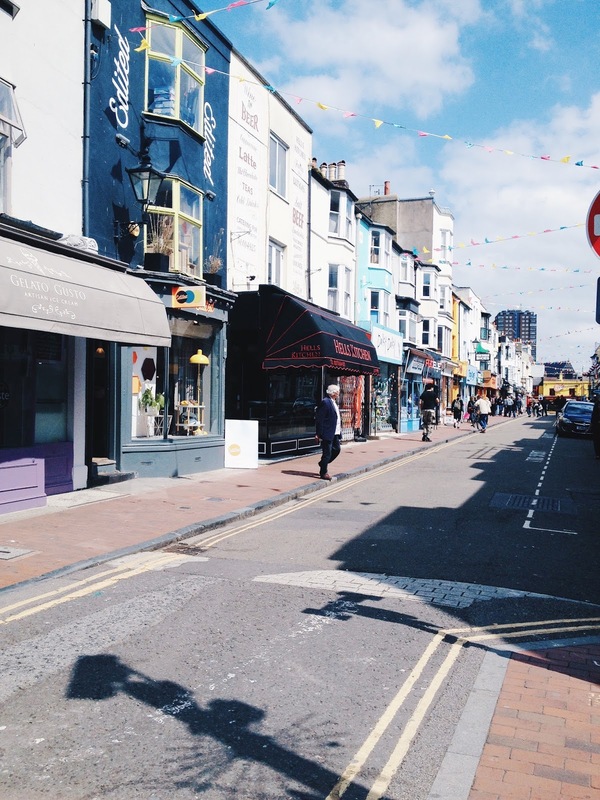 Brighton is small enough to walk everywhere, so no need to spend money on transportation. 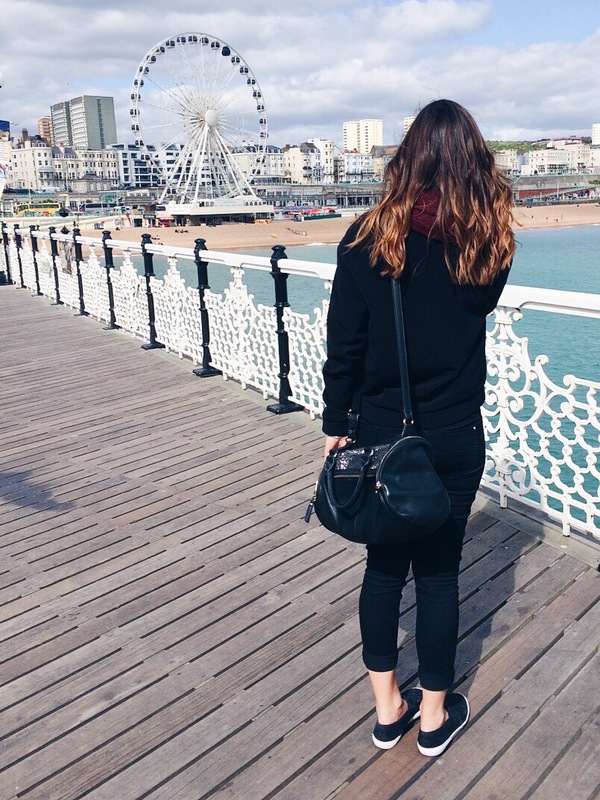 Take a walk down the beach, go to the Brighton Pier and admire the view from there. There are lots of rides and attractions if you want to play games for an hour or two. 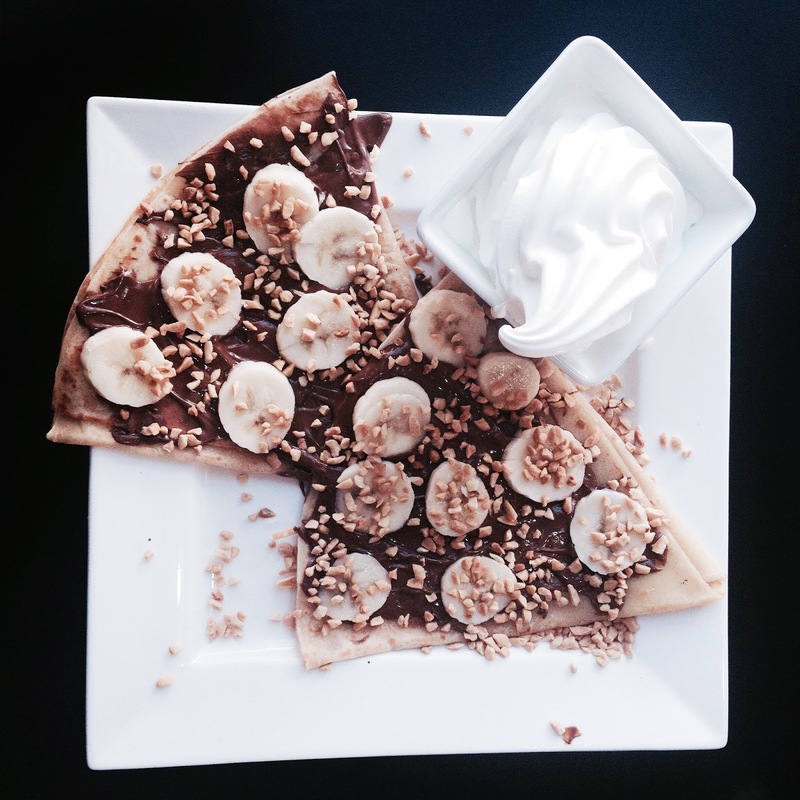 Go to Creams Cafe and have a little treat. They serve waffles, milkshakes, ice creams, crepes... Mine were delicious! Head to The Lanes for some shopping. That's where the cutest small independent shops are. 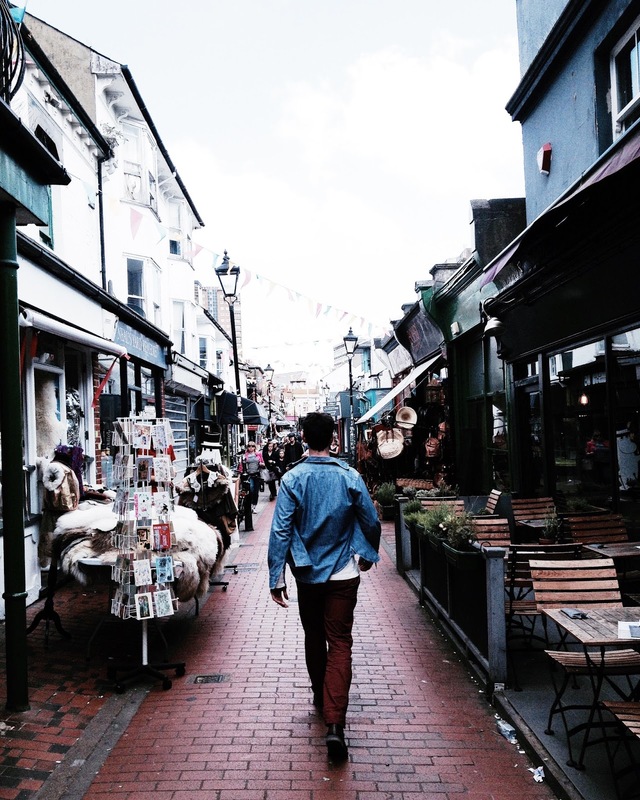 There are plenty of vintage shops, small cafés, and restaurants. If you happen to find the Snooper's Paradise shop in the North Lane, go take a picture in their photo booth with all the funny accessories! 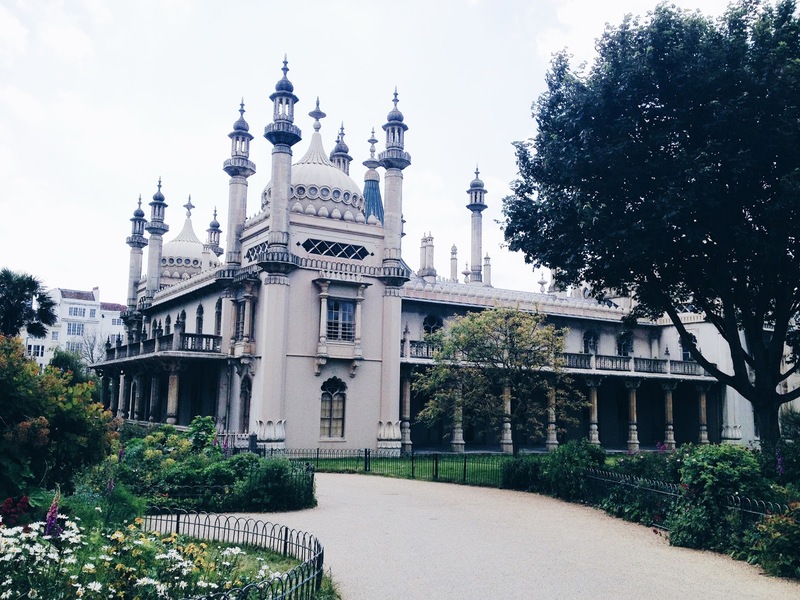 You can choose to buy tickets to visit The Royal Pavilion or just walk around The Pavilion Gardens for free. You won't be able to go inside but, at least, you will see it from the outside! It's so pretty - it doesn't look like it belongs to Brighton, right? And for a fun night out, go to the Be At One Bar. They serve the best cocktails, the music is great and the bartenders are always super lovely. 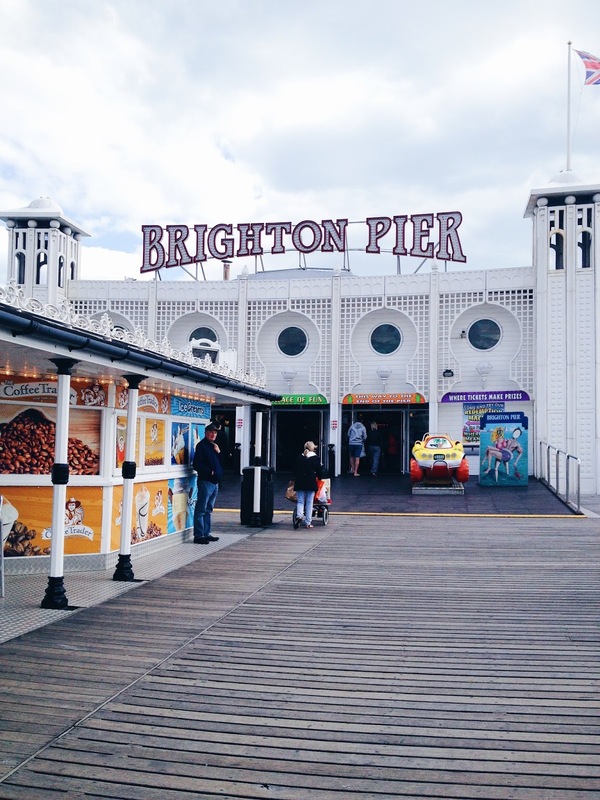 Have you ever been to Brighton? What is your favourite thing about this city? Those crepes are everything!!! I just moved to the UK and looking forward to making a trip to Brighton soon.